Books are a wonderful way for children to learn about and explore the world around them as well as extending their vocabulary, their reading ability, listening skills and of course their imaginations! Holding a book fair at your day nursery is a good way of bringing parents and children together in the nursery, allowing them to spend some quality time looking at books and discovering those the child will be enjoying during the day. Fairs give the opportunity for staff to select new material and parents to choose books to take away with them. At the same time sales usually help the nursery provide new books for their library through various publishing house deals. Several publishing companies offer great promotions and incentive schemes to help day nurseries, pre-schools and primary schools be more involved with books, either by helping you run your own book fair, or by allocating a local representative to help you. Read our case study below from a Mum who works with Usborne Books. As a busy mum with four children, I have found helping to run and set up book fairs a great way to achieve a good balance between home and work whilst at the same time satisfy my love of books. The children’s publishing house were I work, run a division called Usborne Books at Home and School and it’s this section I work with. 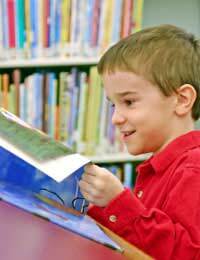 We promote and sell children’s books which aim to make learning enjoyable and reading fun. My goal is to provide a service to parents, carers, nursery staff, children’s workers etc and anyone else that may not be able to easily browse in bookshops. Often this will mean holding a book fair at a nursery, pre-school or in primary schools where younger, nursery-aged siblings are also able to come along. I joined the scheme when my youngest child reached 1 and I’ve been working as an organiser for over six years now. Time flies and I actually wish I’d started earlier! The way we work is very simple; I’m my own boss, working hours to suit myself, and when it fits in with my family. I can also do all the planning from home, so there is minimum disruption to family life but maximum flexibility. I’m really enthusiastic about book fairs! People really love the product, so there’s no ‘hard sell’, the books speak for themselves, and because people pay on the day, they do not overspend. At the same time, the nursery or school gets a certain percentage of books for their library, depending on how many are bought by parents – so everyone wins. Books are such lovely things to deal with - I’ve actually now got a fantastic collection of children’s books for my own children too – which also means that I can road-test titles and advise customers accordingly! And I’ve now built up a team of like-minded individuals to help take children’s books out to nurseries, office crèche’s, and playgroups, so I’m having fun doing something I love.